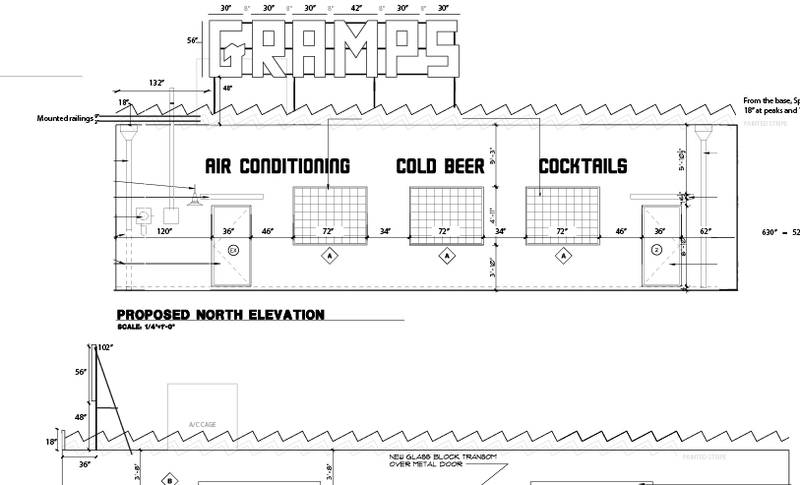 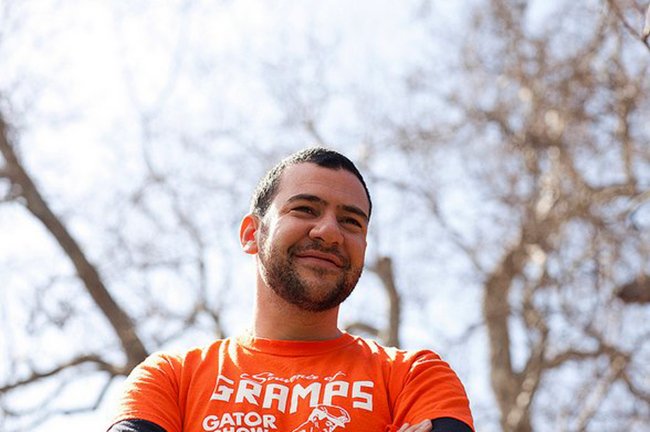 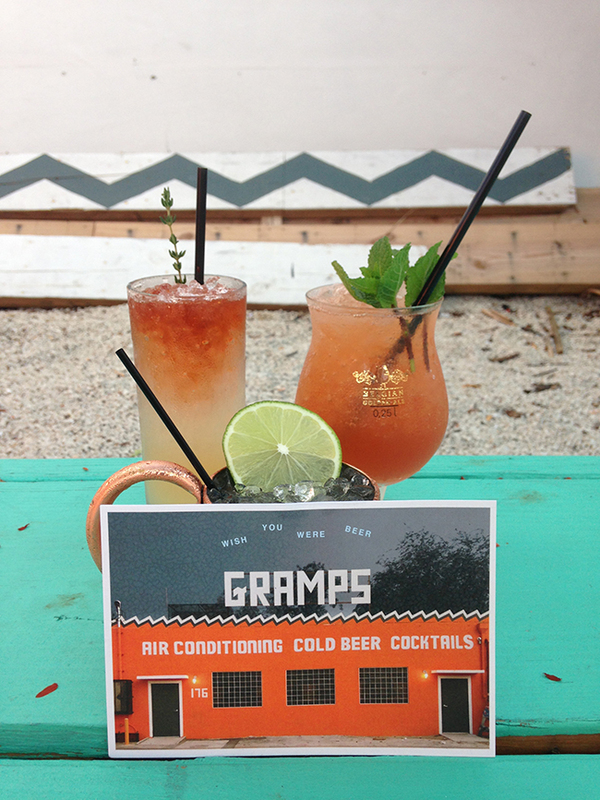 I had the opportunity to work with Mike Del Marmol and Alex Burnard to help develop the look and features of Gramps in Wynwood Miami. 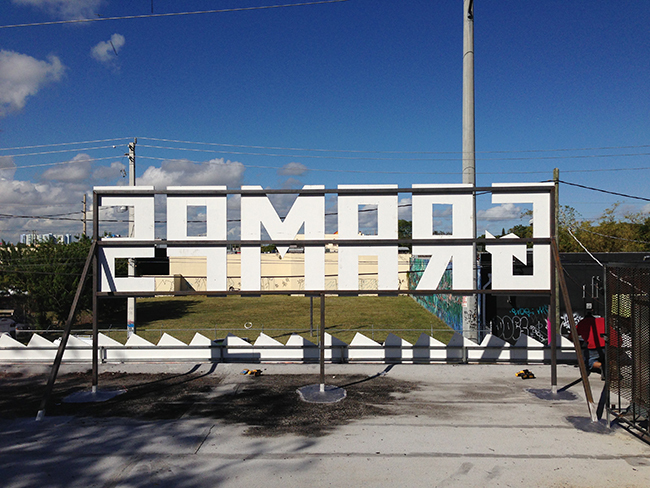 The doors opened in conjunction with Art Basel 2012. 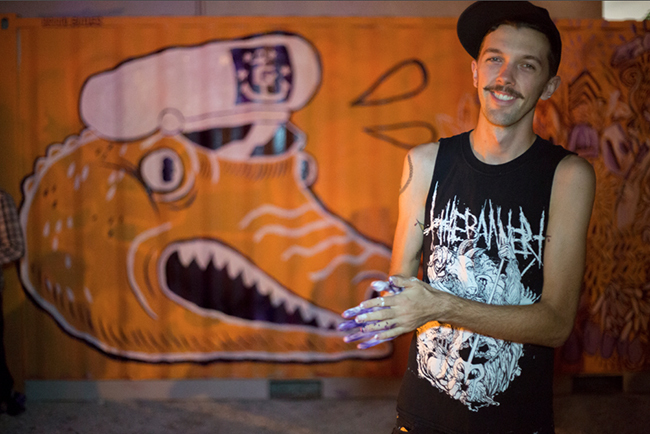 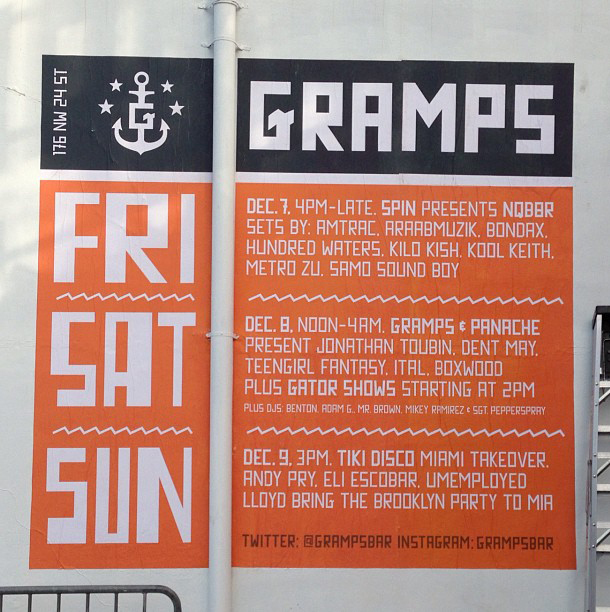 On opening weekend Gramps hosted to live alligator wrestling, as sell as performances by Kool Keith, Kilo Kish, and Araabmuzic. 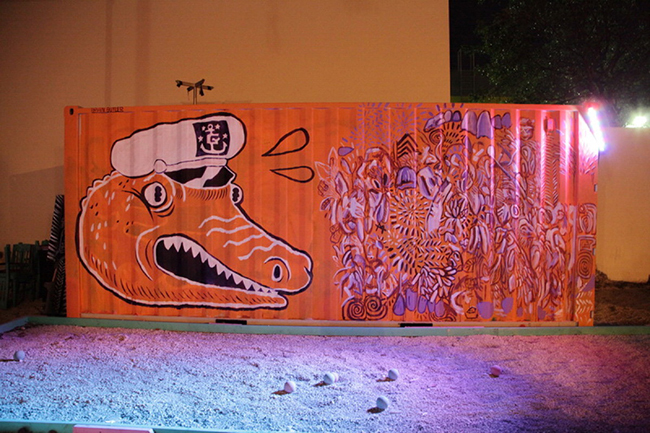 I painted a gator head that night, and it somehow remained anchored in the yard for an extra 8 months. 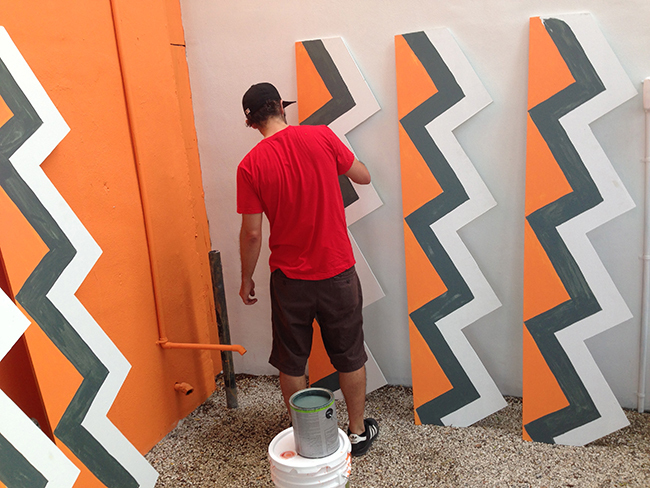 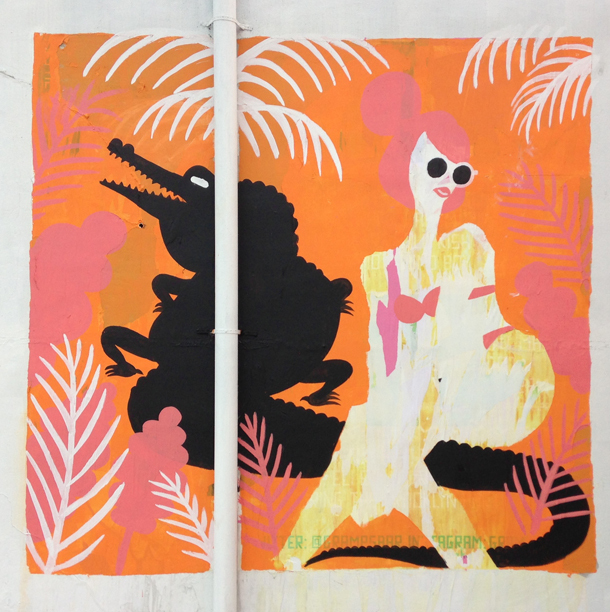 Also in the following months, I’ve been able to design some ads and collateral, and occasionally paint what we have dubbed the instagram wall, which is an active square space by the entrance meant for announcements, and drawings of butts. 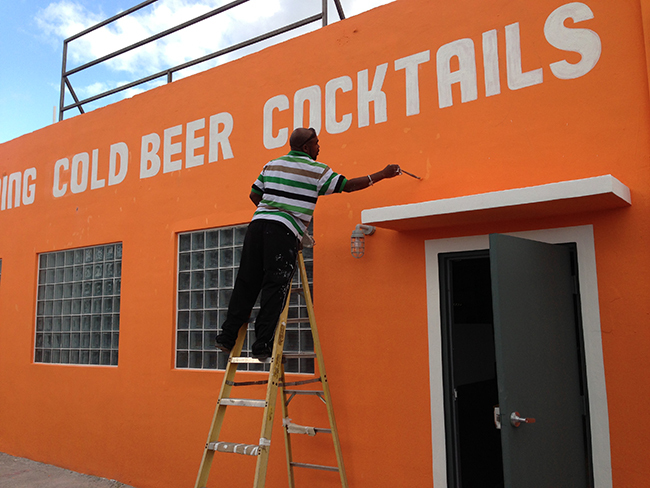 I made designed the spiky roof, and the HOLLYWOOD rooftop lettering, and we convinced local mural legend $erge to hand-paint the typography across the front of the building.